Richard Youngs (University of Varwick) via The Conversation | US president Donald Trump’s erratic and disruptive foreign policy is putting more pressure on the EU to uphold the international liberal order. The EU is beginning to realise this and move up a gear in many of its external policies. But the bloc’s most prominent strategies don’t, at the moment, defend a particularly liberal notion of global order. Current debates over EU responses to Trump’s mercurial diplomacy tend to focus mainly on trade and security. But something far more crucial to propping up the crumbling liberal order needs consideration – the question of whether European and non-Western democratic powers can work together to defend liberal political values. They can, but the EU will need fundamentally to change its approach to the liberal order to do it. In counterbalance to Trumpian disruption, the EU may be able to preserve a more or less open economic order through its cooperation in particular with China. It may also strike expedient deals with non-democratic regimes like Russia that preserve some modicum of strategic stability. But advancing specific EU interests in this way won’t help maintain liberal political norms. What is missing is a systematic EU strategy for working with democratic powers outside the West on the political values that supposedly underpin the liberal international order. The EU needs to work with these powers because, while Trump is in office, the transatlantic relationship can no longer be an engine of global democracy. The EU has some sporadic cooperation with the likes of Australia, Canada and Norway, but needs to cast its net far more widely for pro-democracy partners. Other democracies like Brazil, India, Indonesia, Japan, Korea and South Africa all now devote significant resources and diplomatic effort to democracy and human rights support. Yet the EU has made little effort to fashion cooperation with these “rising democracies” specifically on liberal political values. It is telling that the EU has far more cooperation with autocratic regimes on controlling migration than it does with other democratic powers to advance human rights and democratic reforms. This is difficult to square with the claims of many EU diplomats and analysts that the union is now the international order’s principled and essential guardian. 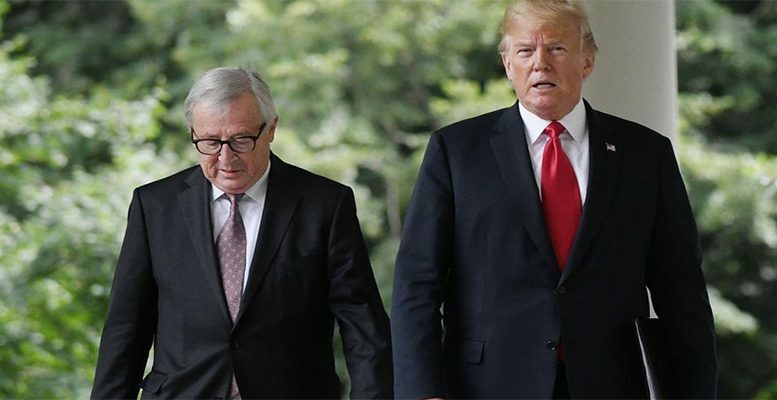 In recent months, as it maps out a response to the worrying trends in US foreign policy, the EU has shown increased interest in working with non-Western democratic powers on economic and security issues but not on democracy and human rights. If anything, today there is less diplomatic momentum behind pro-democracy cooperation than a decade ago. Governments in Italy, Spain, France and the UK all talk extensively about the need to build pragmatic relations with Russia, China and other powers, but have no discernible strategy for cooperating with other democracies to strengthen global democracy. Germany is trumpeting its new strategy of building cooperation among middle powers, but this again revolves around trade and security. Far from working in tandem with other democratic powers, the EU sometimes risks undercutting them. India, Japan and Indonesia are beginning to cooperate on democracy support to offset China’s power. They fear that the EU is now moving in exactly the opposite direction. The recently signed EU-Japan strategic partnership agreement makes the customary reference to shared democratic values but makes no concrete commitments. Having generic forms of dialogue with the rising democratic powers is different from staking out common operational positions on concrete policy challenges in specific countries. Look at what is happening in Zimbabwe, Venezuela, Egypt, Russia or Pakistan and it is evident that this level of cooperation is conspicuous by its absence. Rather than making countless speeches and issuing strategies professing in generic terms how strongly they value the liberal order, the EU and member state governments would be better off developing tangible, low-key initiatives with other democratic powers to buttress liberal political values in specific cases where these are in danger. They could coordinate more with India and Japan on the ground in Myanmar, for example. They could do more in Venezuela with Argentina, Brazil and Chile – indeed the latter has been pressing for such cooperation. They could work with Nigeria and South Africa in African states such as Zimbabwe and the many countries where presidential term limits are under threat. The EU will also need to support democratic powers’ ideas for reforming what liberal order actually means. Countries like Brazil and India are reluctant to work with European governments on democracy support without a far-reaching rebalancing of international power. They still see the EU’s notion of and commitment to liberal order as lopsided and partial. The EU will need to be much more open to other powers’ claims on high-level positions in international organisations like the UN. It must listen to their calls for greater voting shares in multilateral bodies and their positions on military intervention, conflict resolution, trade rules and climate adaptation. Of course, it’s certainly important not to idealise the rising democracies’ emerging activism in international relations. Building liberal cooperation with them will be challenging. Yet the EU still underplays the potential for cooperation to boost such efforts, preferring a relatively transactional engagement with other democracies. The fate of the West and the fate of the liberal order are not the same thing. The common assumption that the EU is uniquely committed to liberal order and that the problem lies with everyone else’s illiberalism is misguided. The current alarm over US policies is tempting EU leaders and ministers into an unhealthy bout of self-congratulation. European debate is too heavily focused on how much the rest of the world is falling short of liberal principles rather than on the new avenues the EU itself needs to explore to uphold the international liberal order. (Richard Youngs teaches International and European Politics at the University of Warwick).